Season after season, the colour black in the kitchen design and matte finish have been hot and trendy. 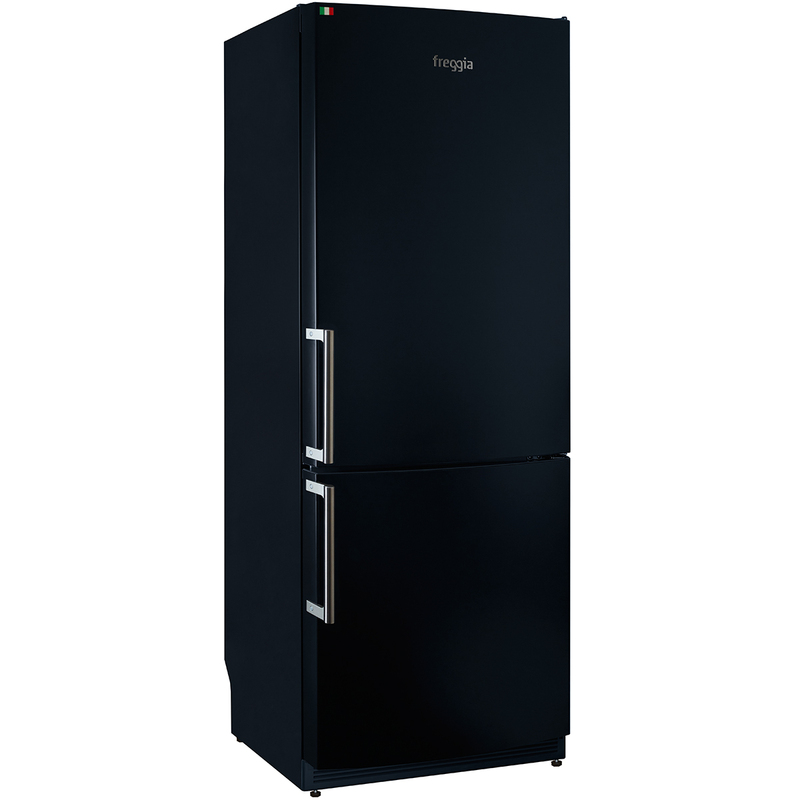 Italian brand Freggia decided to combine the two popular trends and introduced a double door refrigerator with a bottom freezer LBF28597B in matte black. As it is, a black fridge is an unconventional solution for a kitchen. A deep, dark shade gives the room unique elegance, and matte finish adds subtle luxury. A matte surface is much more practical and convenient than a glossy one, where you can notice any scratches and fingerprints. Matte finish is easier to maintain. 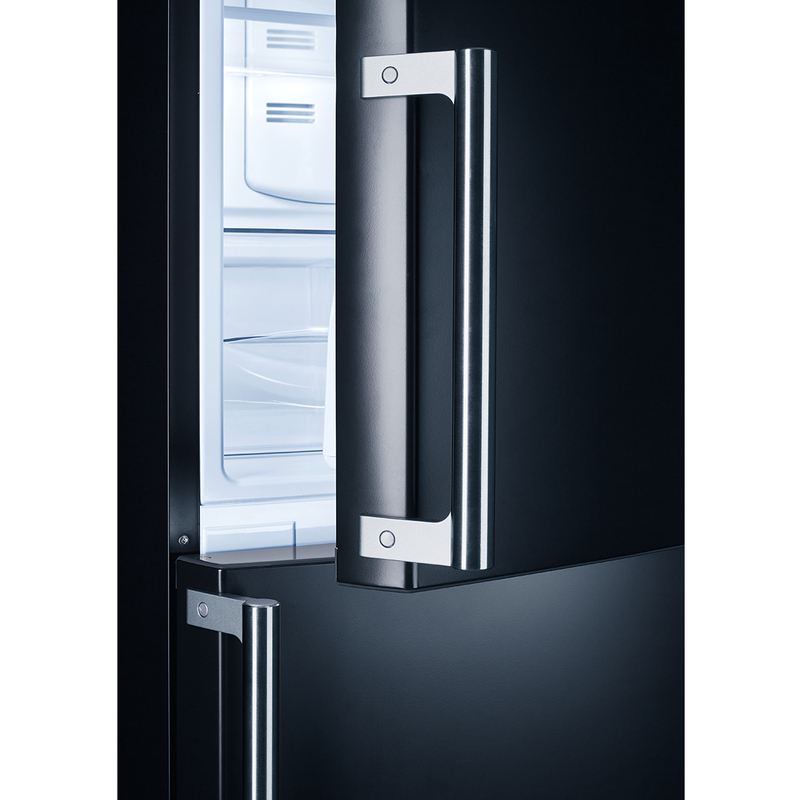 Refrigerator LBF28597B is larger than the standard models. It is 70 cm wide and allows you to store more products. Effective capacity of 382 litres would be enough for storing all the food a large family needs. The model features Total No Frost technology, which prevents the formation of ice in the freezer, so you no longer have to waste your time to defrosting your fridge manually. For that matter, Freggia freezers have the highest rating, ****. It means the ability to maintain the freezer temperature up to -24°C, at which food can be kept longer. Freggia is an Italian brand for those who value comfort and style. Household appliances by Freggia mean time-tested functionality, ergonomics and beautiful appearance in keeping with the best traditions of Italian design. In 2017, the company set a course for rapid expansion of its brand store chain in Ukraine. Our next destination is Kharkiv—there, our fifth salon of Italian household appliances by Freggia has recently opened doors. We continue to expand our geography, this time by opening a new showroom in Zaporizhzhya. The Freggia store is located on the city’s main street, Cathedral Avenue, 167, and is ready to welcome our guests. Modern life is unimaginable without a washing machine. Each year brings innovations in the production of household appliances, and that means that the requirements for performance and functionality are increasing. Keeping up with the times, Italian brand Freggia presents a new washer dryer machine WDIE14106 with a set of useful features. June 22, 2016 Freggia Opens Showroom in Odessa! What a great news we have! Freggia opens its show-room in Odessa specially for you! On June 22, the new space opened its doors for visitors in the Riviera Shopping Mall at 101a Yuzhnaya Doroga, Fontanka village, Odessa region. Few are aware of the history of washing machine. Centuries back, to do their laundry seamen would use motive force of their vessels as they dragged their clothes overboard behind the ship. However, the first prototype of an electrical automatic washer emerged in the postwar years of the 20th century. This appliance is now present in most households and is an essential attribute of comfort in the modern world. What will happen if you take vintage details, modern technologies and bring them together? The answer is simple: a new range of Freggia refrigerators in retro style. Here is a model LBRF21785. So what did we borrow from the 50’s? You have frozen so many vegetables and berries that they don’t fit into the freezer of your fridge, and so you have to eat them though winter has just begun? Don’t worry. With new Freggia chest freezers your provision can last till summer! They hold as many frozen products as you wish! November 5, 2015 How to wash 165 dishware items in one go? Do you know how to wash 165 dishware items at a time? Well, there is a couple of choices. You can stay at your sink for about 40 minutes and wash all the dishes by hand. It’s not easy but possible. You can also ask your husband or children for help. This choice is a tad trickier. And you can do nothing but put all the dishes into the Freggia DWI6159 dishwasher. You have a small kitchen and you don’t know how to furnish it for your convenience? Freggia proposes a great solution: a full set of home appliances of Compatto series. Here you will find a cooktop, an oven, a hood, and even a dishwasher.